Pros On Call is a company that employs mobile units of 24-hour locksmiths in San Antonio. We provide a range of key, door, and security services. We are on call 24-hours a day, 7 days a week and we are a licensed, bonded, and insured company. Plus, each member of our staff has more than 5 years of experience in the industry. Call us for all of your residential, commercial, automotive, and emergency locksmith needs. Enjoy Expert Security Solutions All Day, Every Day! Some days are worse than others. If you have locked yourself out of your car, then it is safe to assume you are having a bad day. However, the stress and strain of being in such a situation can be quickly overcome by calling our local emergency locksmiths in San Antonio. Do not turn a bad day into a worse one by coming with a makeshift solution to the problem. Our technicians are the only kind of professionals who possess the knowledge, skill, and expertise to get you back into your car and on with the rest of your day. You can call us for 24/7 lockout solutions for your home, car, office, and even your mailbox. We also provide expert safe cracking solutions for all types of safes and vaults. And, when it comes to replacing lost, stolen, or broken keys of any kind, we are the best there is. You can also count on us to install or repair all types of lock systems for your home or place of business. Simply put, if you need a locksmith immediately, we are at your service. And with our 30 minute or less response times, you’ll never wait long for a friendly lock expert to arrive at your location. 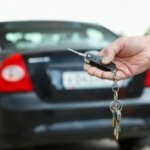 Our local automotive locksmiths in San Antonio have the experience and tools needed to work with all type of vehicles. And, we carry the latest in key cutting equipment to get you new car keys right away. Running a business is filled with a variety of challenges. One of the most important is preventing incidents of burglary and theft. This is done not only to protect valuables and proprietary information; it is also done to give your employees a measure of safety. A commercial locksmith can provide you with the assistance necessary to repair or upgrade your security system. Whether you run a small coffee shop in a local neighborhood or you have an office building by the San Antonio International Airport, we can assist you with all of your office security and office lockout needs. Pros On Call commercial locksmith services also include giving advice and recommendations on the kinds of access control and monitoring systems you should have installed. CCTV, a rekeying procedure, and a high-security lock installation are all options. If you are responsible for the security of a business or building facility, you will need a commercial locksmith. It is important to stay ahead of thieves. You must do your utmost to protect your people and your valuables from those who act against them. Locking yourself out of your home or losing your keys can be frustrating. The kind of helpless feeling associated with being locked out is the last thing anyone needs after a long day at the office. Fortunately, competent, skilled, highly-professional locksmiths are available to persons who find themselves in such a situation. You want to leave your home without worrying about the security of your most prized possessions. A residential locksmith from Pros On Call can help you design and install the elements that will make your home more secure. Our experts will identify the weak points in your home and work with your to close them off to burglars and other wrongdoers. And when it comes to lock services in San Antonio, we do it all! Get quick lock changes or rekeys for just about any type of lock on the market. And that includes all types of brand names locks too such as ADT, ACCESSGARD, INC, Yale, Kisi, and so on. Call us for assistance with mortise locks, grade 1 locks, biometric locks, keypad locks, deadbolts, and just about any other type of lock and key system there is. The most effective way to handle any problem with locks or keys is with the help of our 24-hour locksmiths in San Antonio, TX. Our local team is ready and waiting to help you now. 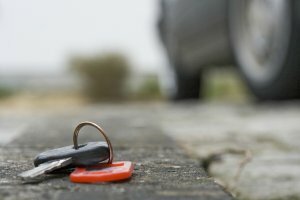 24-Hour Locksmiths In San Antonio https://prosoncall.com/texas-locksmith/san-antonio/ 4.5/5 based upon 14 reviews.